Lanan Racing will remain with British marque Ginetta for the remainder of the British GT season, switching from the Porsche Cayman GT4 Clubsport to a G55 GT4. 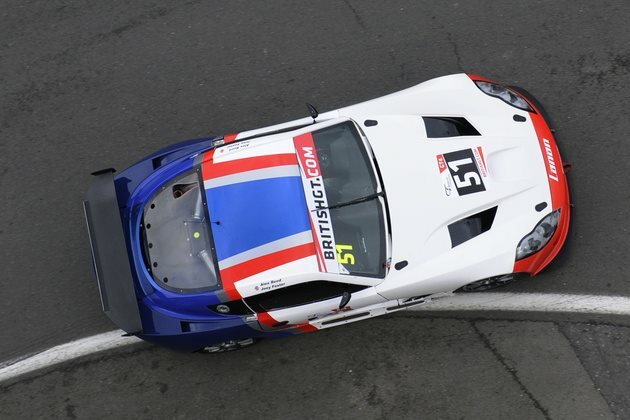 Ginetta G55s comprised four of the top seven places — including all three spots on the podium — in the GT4 class at the season-starting rounds at Brands Hatch on April 17. Joey Foster and Alex Reed shared a G55 in the red-flagged first round of the season after delivery of the Porsche was delayed. The pair claimed seventh, having qualified ninth, despite limited testing owing to the delays. The move once again reunites Lanan Racing with Ginetta, having contested the 2015 ELMS season with a Ginetta-Nissan LMP3. Graham Johnson, Lanan Racing team manager, said: "After seeing the Ginetta's performance first hand at Brands Hatch we felt it was the obvious choice. We know Lawrence Tomlinson and the rest of his team well after our ELMS campaign and believe it will be right for us in GT4. There isnâ€™t a huge amount of time before round two but I have complete confidence in Ginetta to ensure we're ready for it. "The start to the season hasn't been ideal but this finally gives us some stability and takes away all of the uncertainty. It's a great car, and Joey and Alex both found the car to their liking at Brands. We'll be pushing up towards the front of the class, I'm sure." Round two British GT takes place at Rockingham Motor Speedway on April 31-May 1.